Now more than ever: Aldous Huxley's enduring "masterpiece ... one of the most prophetic dystopian works of the 20th century" (Wall Street Journal) must be read and understood by anyone concerned with preserving the human spirit in the face of our "brave new world"
Aldous Huxley's profoundly important classic of world literature, Brave New World is a searching vision of an unequal, technologically-advanced future where humans are genetically bred, socially indoctrinated, and pharmaceutically anesthetized to passively uphold an authoritarian ruling order—all at the cost of our freedom, full humanity, and perhaps also our souls. "A genius [who] who spent his life decrying the onward march of the Machine" (The New Yorker), Huxley was a man of incomparable talents: equally an artist, a spiritual seeker, and one of history's keenest observers of human nature and civilization. 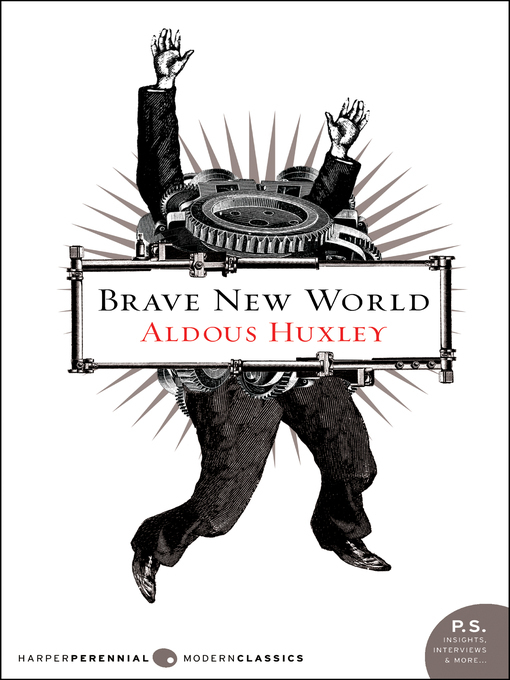 Brave New World, his masterpiece, has enthralled and terrified millions of readers, and retains its urgent relevance to this day as both a warning to be heeded as we head into tomorrow and as thought-provoking, satisfying work of literature. Written in the shadow of the rise of fascism during the 1930s, Brave New World likewise speaks to a 21st-century world dominated by mass-entertainment, technology, medicine and pharmaceuticals, the arts of persuasion, and the hidden influence of elites.